Raise leaders who witness, transform and restore. Support leadership Development and culture making in the urban context. Our internship equips the next generation of Christians to write a new narrative for the Church. The Urban Doxology Songwriting Internship is an 8-week leadership development program for young people between the ages of 18 and 25. Interns learn about biblical theology and discipleship, worship, songwriting, and race, class and culture. Instead of writing papers, they collaboratively write worship songs for the diverse urban setting. These songs are becoming the soundtrack of reconciliation for our community and beyond! Equitable Pathways to Leadership - This internship is designed to provide leadership development and opportunity for a demographically diverse group of interns. We also have an intentionally diverse staff, composed of mostly intern alumni. Offering intern stipends is essential in keeping this program accessible to a diverse group. 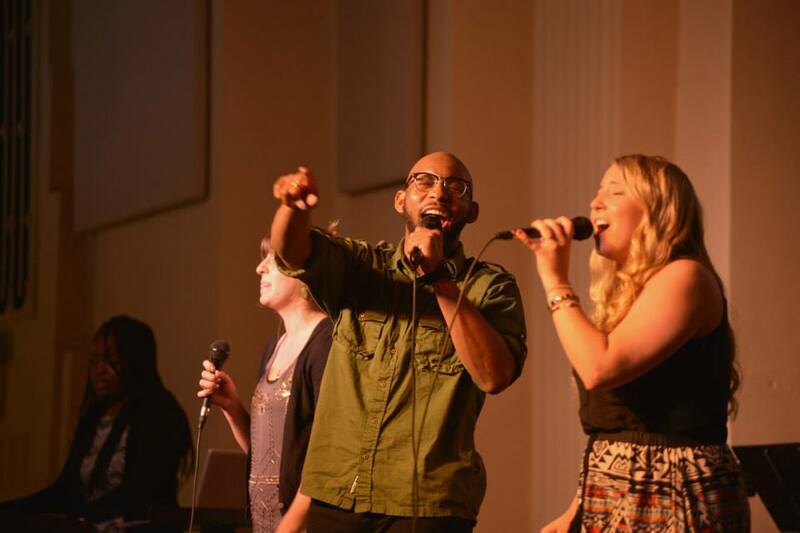 Songwriting/Resonant Worship - The significant output of this internship is collaboratively-produced, theologically rich worship music for the diverse urban context. These songs are written for underrepresented people in the worship industry and on underrepresented topics for the edification of communities oriented towards reconciliation. Spiritual Formation - This internship strives towards vocational and spiritual formation. Through one-on-one mentors, weekly teaching, and an intensive retreat, we equip and empower the interns to take their faith seriously as they write songs, lead worship, and engage in the complex history of our community and society. Community Engagement - It is vitally important that the interns learn the story and history of our physical and spiritual community in Church Hill. We place them with host families, encourage active engagement in the church body throughout the week, and provide fun learning opportunities like a neighborhood bike tour. This Kingdom work is only possible through collaborative engagement and investment. Become a patron today. UDSI culminates in a weekend of local events commissioning equipped interns to be reconciling leaders in their community.